Here is an easy solution to a very common problem when making reports: how do I change the sort of some items from alphabetically to something else? 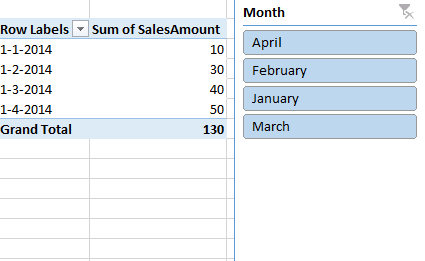 That is, you have a Sales table that reports SalesAmount on a Date and related to that Sales table is a Date table (dimension) which stores dates and month name. What’s wrong here? 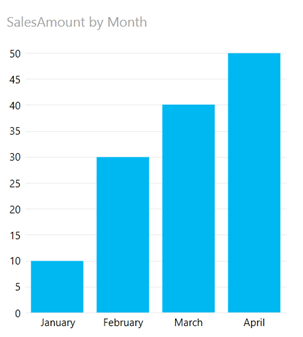 Your users probably want the months ordered correctly not alphabetically by month name as they are now in both the slicer and the Power View graph. Of course you can give the months a numeric prefix like ’01 – January’, ’02 – February’, etc. This may work perfectly fine for you but I think this approach is impacting the user interface to much. There is, naturally, a better way. And it is very easy to implement. 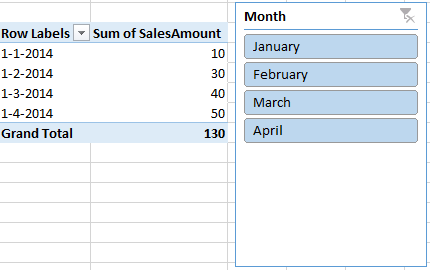 All you need is two modifications to the date table. Now go back to Excel and look at the slicer and your Power View report. Both of them now sort correctly thanks to the power of Sort by Column. This of course is applicable to anything, not just months or dates. 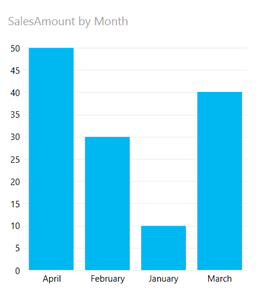 That’s it for this Power BI Pro Tip. Until next time!